Manage your group and click on the "Dashboard" tab (in the manage toolbar). Click on "Officers" in the left menu. 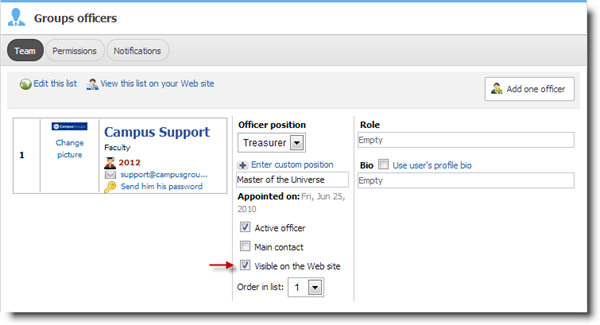 Uncheck the "Visible on the Web Site" checkbox for each of your officers.